His drawings chronicle everyday life. They are direct and personal, often comic and good-humoured. Marx observes his environment and sketches out scenarios that provide an insight into the zeitgeist and modern society. 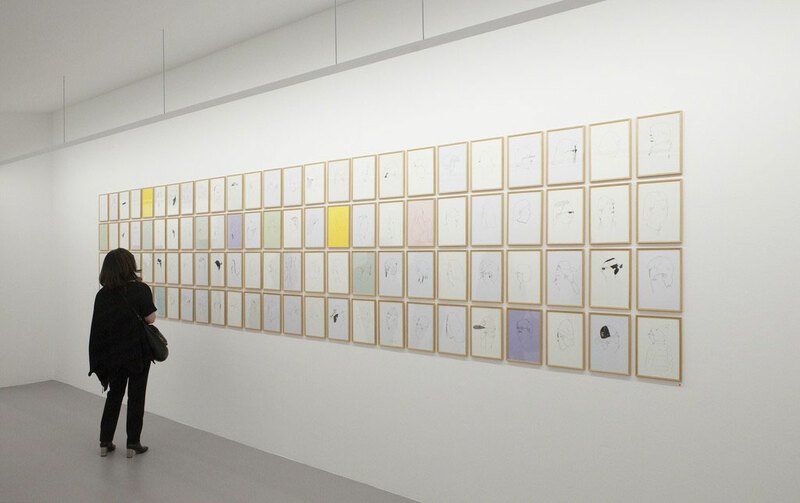 While his drawings are monochromatic, they sometimes play with colour, depending on the paper being used. In a series of more abstract works, Stefan Marx uses colour directly. Aside from his figurative and abstract works, Marx also works with text inspired by song lyrics. The often black and white words have a strong visual and emotional effect. 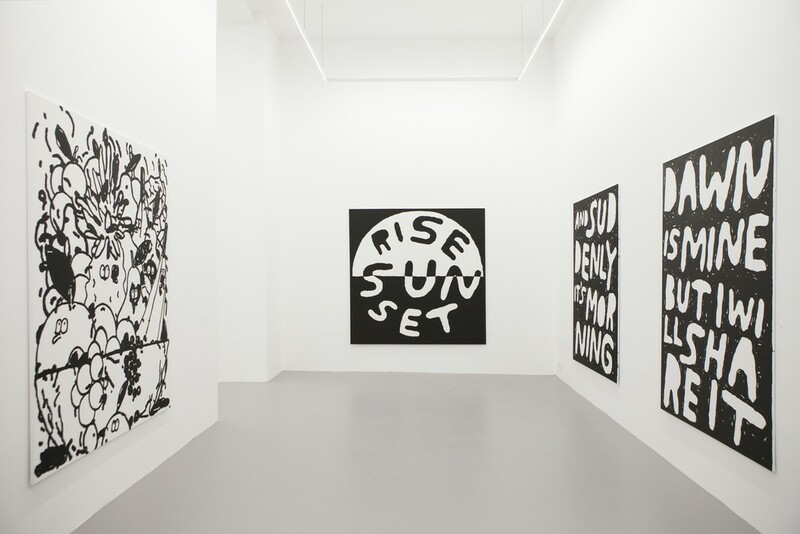 While adding the text to his canvases, Marx visually translates their poetic message.